Hello My Lovelies! 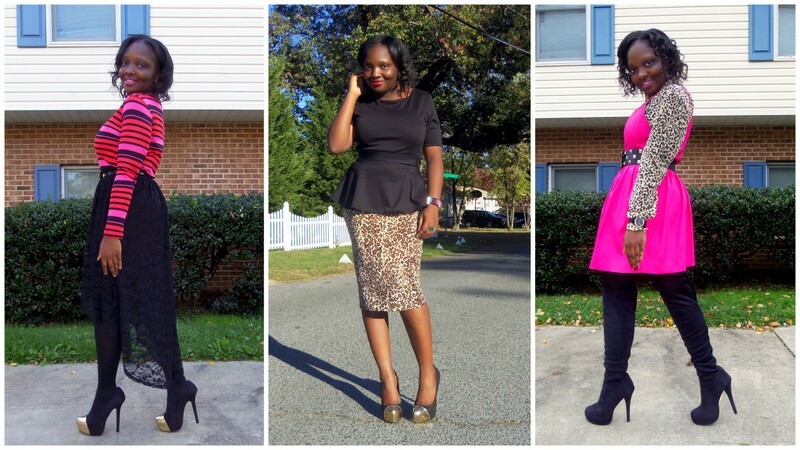 It's finally the Last Day of 2012, here is a recap of some of my favorite outfits. I wore this outfit to have dinner with my family on Christmas day. Love the pop of red in this classic black and white combo. Wow! I still can't believe the year 2012 ends in a lil bit over 24 hours. I will try to make a post recapping my favorite outfits this year. Thanks for stopping by and Have a wonderful Sunday! Cheers to the Weekend, My Lovelies! Thanks for visiting my blog and Have a wonderful week! Nails: OPI Nail Polish + Konad Stamping Nail Art. I had a wonderful Christmas, it was really nice to spend the day with family and friends just eating and enjoying each other's company. I wore this outfit for church on Sunday and the Christmas Party after the service. The Christmas Party was awesome, I always say that Africans throw the best parties and we sure do...LOL. It was so much fun to eat, dance and relax with each other. Do you notice that the quality of my pictures? I still cannot believe my camera took this, I normally take my pictures with a tripod and self timer but one of my friends volunteered to take my pictures. I think she did a great job, Thanks Fisayo! Today's post is all about remixing my closet. I have worn every piece in this post several times except the necklace, I just mix and match it with other pieces. This animal printed pants is one of my favorite pieces in my closet; I just throw them on when I feel like being daring and chic! The denim shirt is a neutral to me, I pair it with anything and everything. The sneaker wedges are my go-to shoes for casual outfits but it still adds some height to my petite frame. I paired the printed pants with the denim shirt and added the sneaker wedges to complete my outfit. I also accessorized with a pair of statement necklace. Do you ever remix the pieces in your closet?